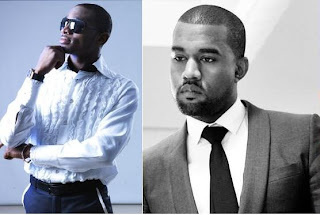 American multiple awards winning artist and producer, Kanye West has today finalized his interest to sign one of Nigeria’s biggest hip-hop artistes, Dapo Oyebanjo popularly known as D’Banj & Don Jazzy to his Good Music Entertainment, a production, management and record label outfit. “GOOD” is an acronym for “Getting Out Our Dreams”. Speaking to D’Banj’s manager, Sunday Are of List Entertainment, he confirmed that there have been talks recently but D’Banj officially signed the contract today. “Yes there have been discussions between the two parties lately. They have been exchanging contracts but now the wait is over, he said. Sources also revealed that Kanye is interested in working with Don Jazzy. 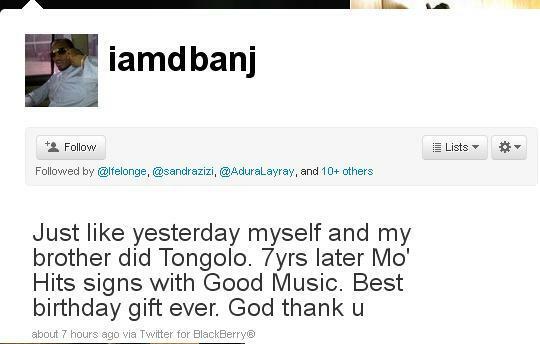 We heard he wants him to produce a song on the collaboration album he is working on with Jay Z.
Dban'j confirmed the story this morning on twitter..